The South Okanagan and Similkameen is a unique region of Canada, with a rich array of wildlife habitats. Unfortunately, it is also known as a region that is one of the most at risk in Canada. Many of our wildlife and natural areas are in trouble because of human activity. Our towns and cities, agriculture and other human activities have eliminated, fragmented or degraded natural areas. Ecosystems are so much more than something beautiful to look at. Nature provides many benefits and services to humans – including filtering, storing, and recharging our water supply, purifying the air, providing insects to pollinate food, controlling floods and erosion, providing places for recreation and tourism, as well as storing carbon. 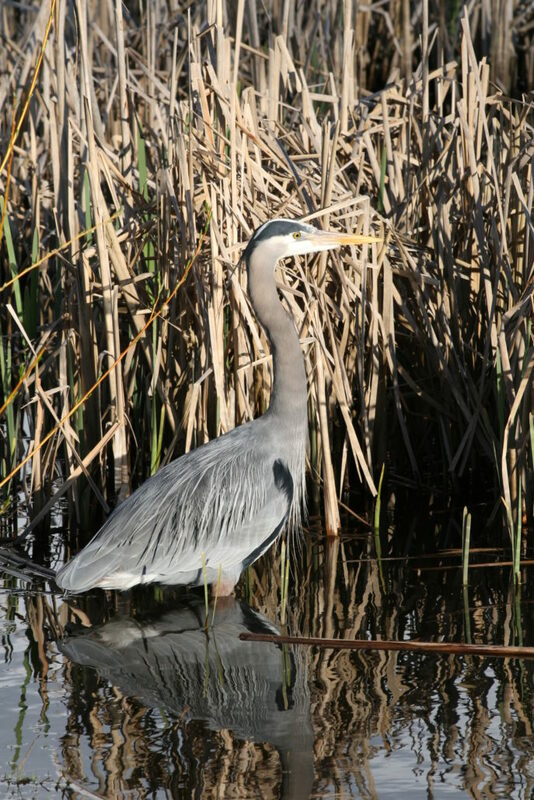 Wetlands include ponds, marshes, swamps and seasonally flooded areas. Wetlands are rare in our pocket desert landscape to start with – and we have lost over 85 % of them due to in-filling, ditching, and draining. They are important for many species of wildlife, especially turtles and amphibians who return to wetlands each year to mate and lay their eggs. With climate warming trends, wetlands are shrinking and disappearing so it is important to protect those that remain. Riparian areas includes the green vegetation along streams, rivers, and lakes. These ribbons of green are are often wildlife corridors and bird migration routes. The roots of riparian plants and trees stabilize the banks and the vegetation shades and cools the water. Fish feed on the nutrients provided by the plants and depend on the shade during the hot months of summer. We have less than 15% of the natural riparian areas left along the Okanagan River. It is estimated that 80 % of local terrestrial wildlife depend on riparian areas. 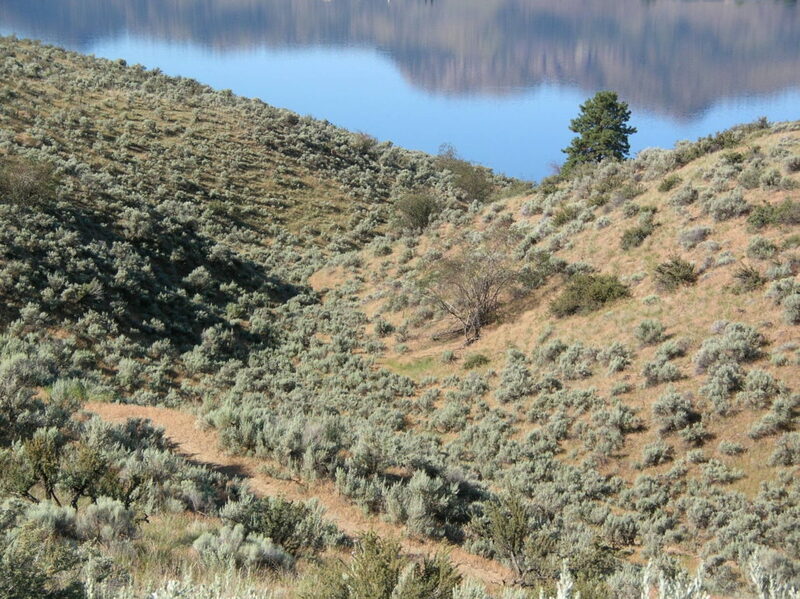 Grasslands and shrub-steppe – what makes the Okanagan the true “wild west” – it’s the rolling hillsides and benches of bunchgrass and shrubs such as antelope-brush and sagebrush. Grasslands are one of the most unique types of habitat in the province – covering only about 1% of B.C. We have lost considerable tracts of grasslands in our region. Healthy grassland soils are covered with a crust of lichens and mosses which helps prevent soil erosion. Bicycles and recreational vehicles can easily damage the soil surface and allow weeds to flourish, so staying on established trails is important. Forests support a diversity of wildlife from bats to birds, and black bears to flying squirrels. Trees are used for roosting, nesting and denning. 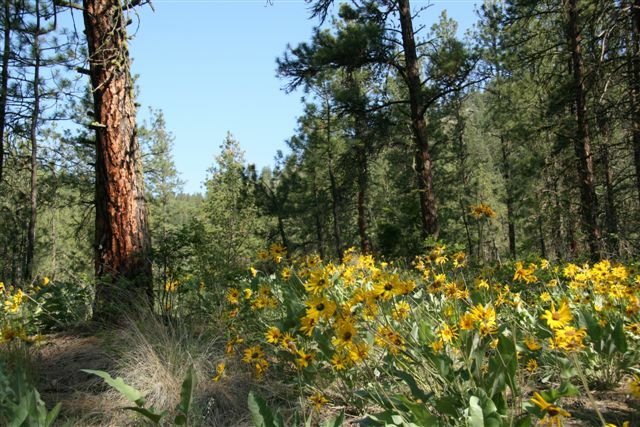 Ponderosa Pine stands are open forests where deer and Bighorn sheep forage and find protection, whereas Douglas Fir forests grow at higher elevation where more snow provides winter moisture. Healthy forests hold the soil and prevent erosion and mudslides after heavy rain or snow. Forest soils, leaf litter and woody debris provide homes for salamanders, snakes and small mammals. For further information on B.C. natural areas and wildlife view this Ministry of Environment web page. For Okanagan Similkameen species and habitat information go here.